Fits Apple iPhone X and 10. 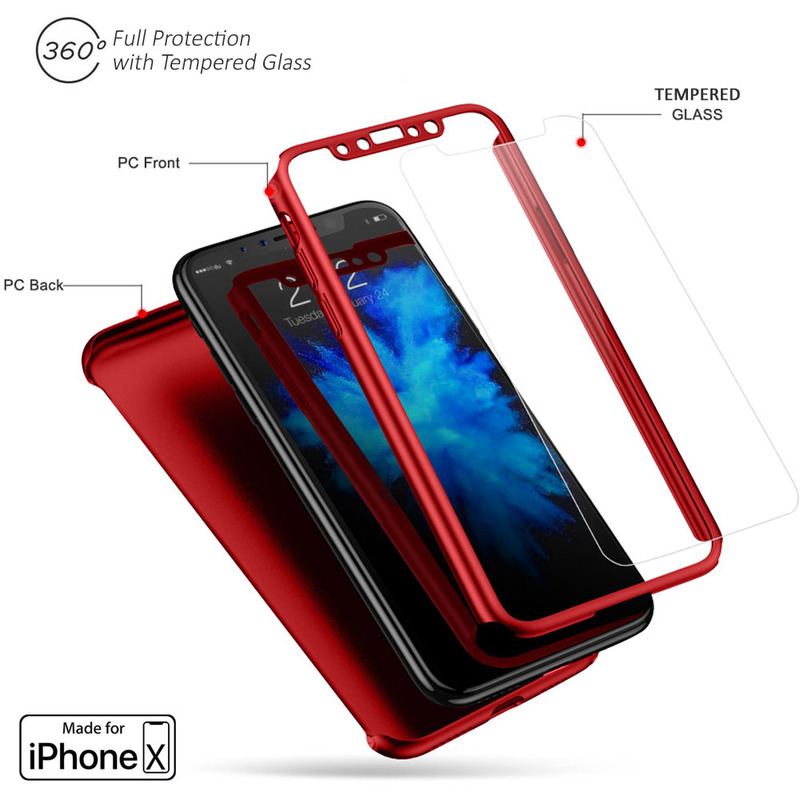 Indigi engineers design this iPhone X 360° Full Protection Kits as an all-in-one protection solution designed for people with on-the-go lifestyles. This iPhone X Case provides the ultimate protection for your brand new iPhone X, without losing out on the aesthetics. With an ultra-slim profile and minimalistic design, your iPhone X fits snugly into the case without the bulk and extra weight. Cracked screens account for 90% of phone accidents, and that's an expensive, inconvenient repair. Indigi Protection Kit includes our Zero Damage tempered glass screen protector for best protection against impact and scratches while providing a smooth, glass finish without reducing touch performance or screen quality. Made from a direct molding, this case is sure to fit your device without any fitment issues. The bumper provides protection without sacrificing the ability to use the volume bar or power button and a large cutout for the Lightning adapter ensures your ability to use the device while charging or listen to music through the AUX cord. The case's camera portion offers a large cutout so you can take photos without having to worry about dirt getting in-between the case and camera. Created specifically for the iPhone X!